How Do You Get Protein? FTC Disclosure: If you make a purchase through a link on this site, I may receive a small commission on the transaction - at no added cost to you. Thank you! Susan Voisin is the fabulous blogger behind the Fat Free Vegan Kitchen who agreed to tell us a few of her secrets. She rarely cooks with added fats like margarine, shortening, or oils, but does cook with coconut milk, avocados, nuts, and seeds. 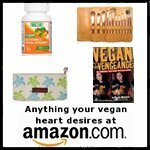 Susan has been a vegetarian since 1988, and became a vegan in 1994. Since that time, her culinary prowess has deepened and she's taken over the internet by storm as one of the most popular and beloved vegan bloggers. As many vegans report, when she went vegan she found tons of energy and even lost 100 pounds! Her fat free vegan diet matches closely with the Eat to Live philosophy, created by Dr. Joel Fuhrman, and with The McDougall Program, by Dr. John McDougall. 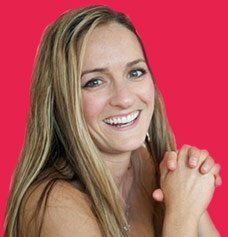 Susan also runs a Fat Free Vegan recipes website, www.fatfreevegan.com that corresponds with her blog and is incredibly informative. In 2011, her beautiful photography was featured in Nava Atlas's cookbook Vegan Holiday Kitchen, which focuses on delicious vegan holiday cooking. 1. What's your favorite go-to meal on nights you're too busy to think? This is embarrassing, but about once a week I make soup of frozen vegetables and canned beans. It's posted on my blog as Dirty Little Secret Soup, but it's not really a secret anymore. I just dump all the ingredients into a pot, and half an hour later we have a healthy meal. 2. You do cool things like make your own soymilk... what are your favorite kitchen gadgets? Oddly enough, the gadget I use the most often was a present that I never thought I wanted: a Magic Bullet blender. It's the perfect size for chopping nuts, grinding flaxseed, making a single smoothie, blending sauce ingredients, or turning just about anything into a smooth paste. It's especially handy for small amounts that would just get lost in a regular mixer or food processor. 3. Has your daughter been vegan since birth? If so, do you get any criticism or skepticism from outside influences? I've heard most vegan children are intensely proud of their eating habits, is she the same way? And, how do you help her eat properly when she's not in your care? My daughter was born and raised vegan, but a couple of years ago she decided to add dairy products to her diet so that she could "fit in" at parties and friends' houses. So she's vegetarian now, outside of the house, at least. Other than a few really strange and misinformed comments from my mother-in-law during the early years, we never were criticized for our choice to raise her vegan. In fact, her first pediatrician was so amazed at her growth and healthy test results that she said she wished all her patients were vegan. I pack my daughter's lunches so I know she's getting a good meal when she's at school. When she's at restaurants or at friends' houses, she knows what to ask for and how to tell when there's meat in something. 4. You, like me, are a vegan living in the southern US in a city not renowned for veganism. Do you run into a lot of people who just can't understand your food choices? Do you have a standard way to relate to those people? I guess the most common question that people ask is, "What do you eat?" so I tell them, in a really matter-of-fact way. I try to emphasize all of the foods I do eat rather than those I don't. I'm a really low-key, non-confrontational type of person, and I think that people respond well to a pleasant attitude. Don't be afraid to ask for what you want. Often, if there's nothing on a menu that's vegan or low in fat, I'll ask to have something prepared for me without the cheese or butter. In better restaurants, I'll tell the servers what my restrictions are and ask for suggestions; sometimes they'll come up with options that I never would have thought of. 6. Do you have any advice for people toying with the idea of becoming a vegan? My best advice for people thinking of becoming vegan is to learn to cook. It's almost impossible in most places in this world to maintain your commitment to veganism if you're dependent on restaurants for all of your food. If you already know how to cook, you're in a great position to start exploring the wide variety of vegan cuisine. Think about ways to adapt your favorite recipes to be vegan, but don't just stop there. Buy a couple of vegan cookbooks or go online and check out the huge number of recipes available for free on vegan websites and blogs. During the last couple of years there's been an explosion of vegan culinary creativity, and all it takes is an internet connection to find recipes and how-to advice to fit every appetite. Thank you Fat Free Vegan! and get a FREE 5-page guide to weight loss! Your email address is completely secure. I will only use it to send our newsletter. Join over 13,500+ Newsletter Subscribers for FREE! Want to meet the Vegan Nutritionista? It’s me, Cathleen Woods!